On a properly setup lathe the axis of the spindle is in line with the axis of the barrel of the tailstock. The front of the “nose” of the tailstock is flat and at right angles to the barrel of the tailstock. If this configuration is rotated and rotated again it is possible to see a setup that is similar to a pillar drill. 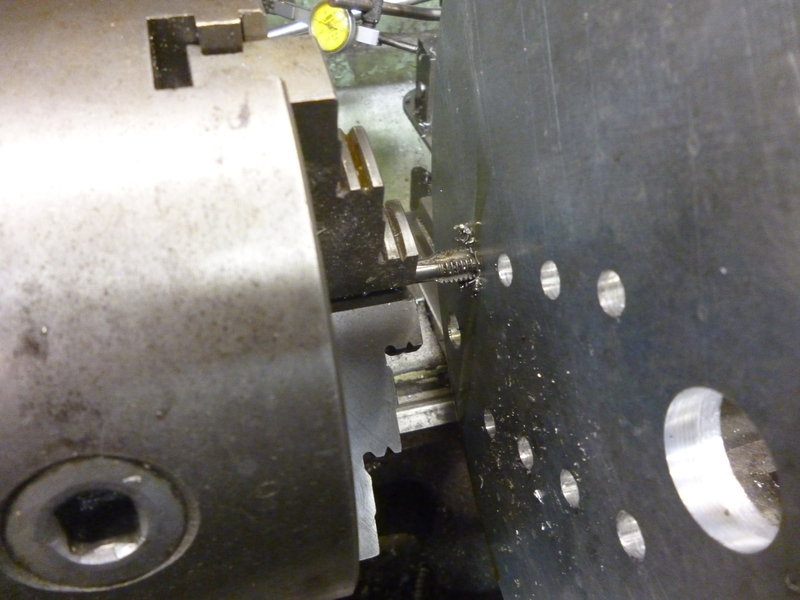 The nose of the tailstock is the table and the drill bit is held in the headstock spindle. Instead of a quill being fed down the “table” is lifted, ie the barrel is moved towards the headstock. The advantage of this over using the lathe as a drill with the drill in a chuck in the tailstock is that it is possible to hold a much bigger drill in the headstock taper than in the tailstock taper. It is also possible to hold a much bigger workpiece against the tailstock than one that can be held on the face plate so that it can be rotated by the spindle. It has the advantage over the pillar drill in that a bigger drill can be held. Also the slowest speed on the lathe is often far slower than that available on the pillar drill.